William Morrow Paperbacks, 9780062338303, 416pp. Though Rachel believes she’s shut out her painful childhood memories, years later she is confronted with her dark past when she becomes a nurse at Manhattan’s Old Hebrews Home and her patient is none other than the elderly, cancer-stricken Dr. Solomon. Rachel becomes obsessed with making Dr. Solomon acknowledge, and pay for, her wrongdoing. But each passing hour Rachel spends with the old doctor reveal to Rachel the complexities of her own nature. She realizes that a person’s fate—to be one who inflicts harm or one who heals—is not always set in stone. Kim van Alkemade was born in New York. Her creative nonfiction has appeared in literary journals including Alaska Quarterly Review, So to Speak, and CutBank. She teaches writing at Shippensburg University of Pennsylvania. Even non-aficionados of historical fiction will find much to savor in this remarkable novel. Its themes and artistry will linger in reader memory. 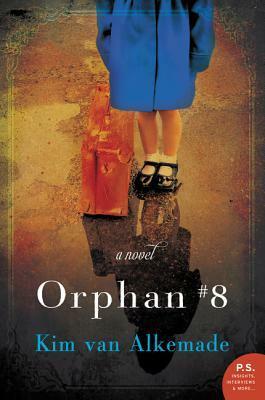 Orphan #8 is a remarkable work, well rooted in some little-known history... a broad landscape of issues, superbly rendered.